The cities of Sugar land, (Zip Code 77478 77479 77487 77496) Stafford and Rosenburg are waiting for your arrival and Nationwide Movers is ready to get you there. Surrounding these cities are Missouri City, Stafford, New Territory, Meadows Place and Great Wood. They are conveniently located 20 miles from downtown Houston, the primary artery being SH 59 the Southwest Freeway. Sugar land Movers will take you to any of several subdivisions waiting to welcome you home, such as: Gannoway Lake Estates, Eldridge East, Skyview Farms, Lake Village, Venetian Lake, Alkire Lake, Horseshoe Lake, Englewood Place, Grants Lake, Highlands Square, Morningside, Robinson Landing, Sanders Ridge, Clayton’s Bend, Austin Meadows, Williams Glen and Waters of Avalon. Educational opportunities are offered by Fort Bend Independent School District. 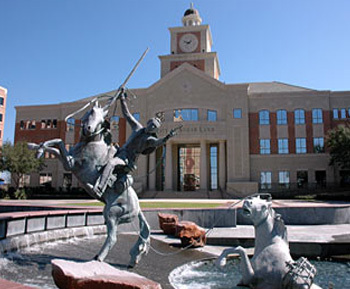 University of Houston system at Sugarland and Wharton junior college offer boundless learning and career choices. Residents also have access to some of the best medical facilities in Texas, including: St. Luke’s Sugarland Hospital, Methodist Sugarland Hospital, Triumph Hospital Southwest and Sugarland Rehabilitation Hospital. In the area also are Sugarland Regional Airport and Lakes on West airport. As an insured moving company, Nationwide Movers will bring all your most treasured possessions safely to your new home, for they while they are with us, they are our treasures, too. Several parks serve the community, making any outing or picnic a memorable experience, such as: Cullinan Park, Brazos River Corridor & Sugarland Memorial Park, City Park, Imperial Park, Eldridge Park, First Colony Park, Lost Creek Park, Oyster Creek Park & Trail and Sugar Mills Park. Looking for something fun and exciting, check out the following: Sugarland BMX track, Sugarland Skate Park, Venner Bennet Sculpture Garden, Concerts at Oyster Creek, Eggstravaganza at Eldridge Park, Red White & Blue Festival, Halloween Town, Cultural Kite Festival and Christmas Tree Lighting. You may also get our moving quote by filling out the request form. Nationwide Movers is ready to get you there to join in the fun. What better place to live than in one of these communities? Let Nationwide Movers, a reliable mover get you there!